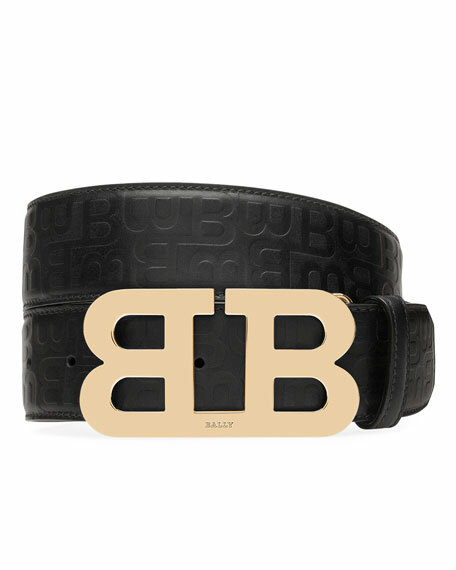 Bally belt in calf leather with embossed B logo. 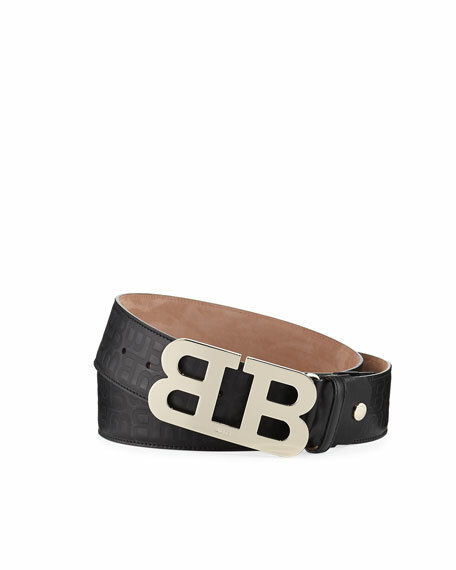 Bright golden mirrored "B" buckle. 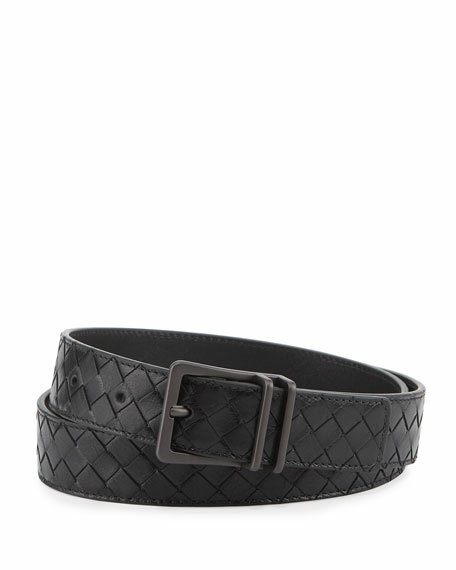 For in-store inquiries, use sku #2287835. 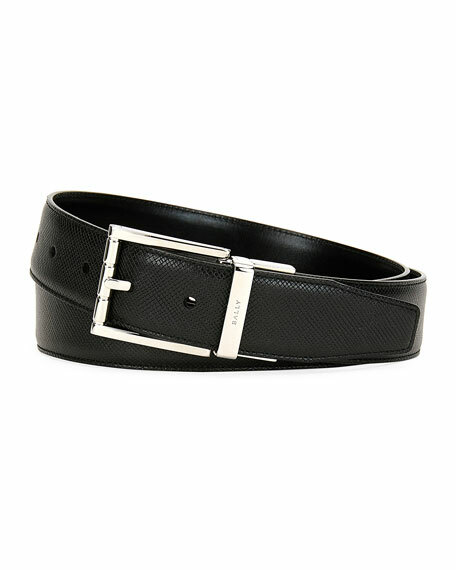 Berluti "Versatile" belt in reversible Venezia and classic box calf leather. 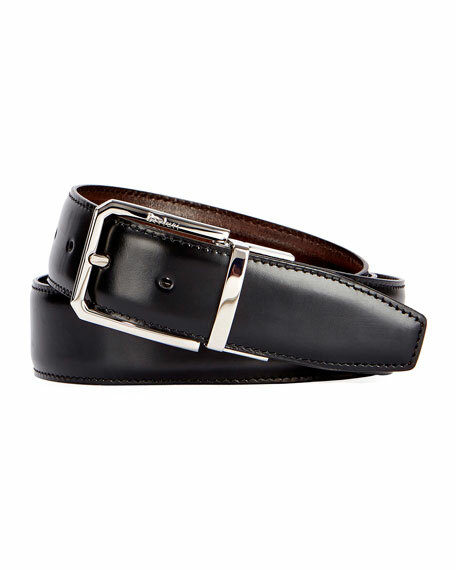 Silvertone logo-engraved square buckle. Approx. 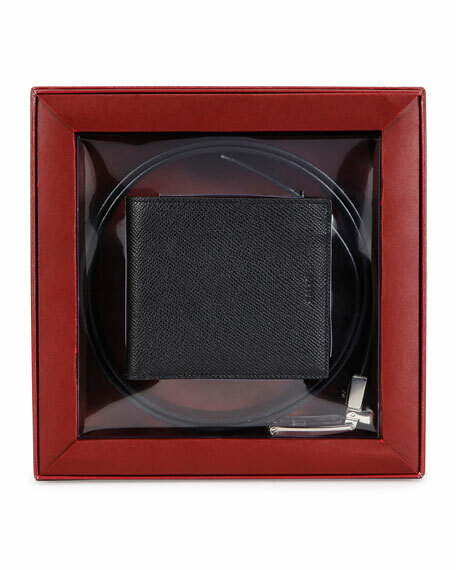 1.4"W (35mm). Adjustable fit. Made in Italy.